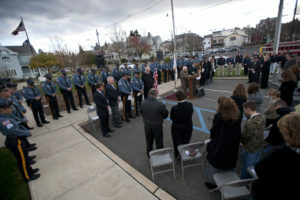 Newton Police Department - Newton, NJ | The official website of the Newton Police Department located in the Town of Newton in Sussex County, New Jersey. 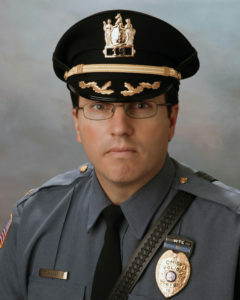 Welcome to the Newton Police Department website. 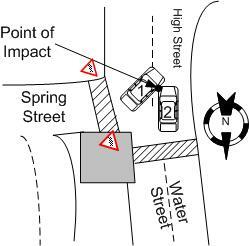 I thank you for taking the time to visit and believe you will find the site to be both helpful and informative. Our site is designed and maintained by a member of the staff and it is specifically intended to further our objectives in creating and strengthening our community engagement. In addition to this website, we endeavor to look for ways to innovate and to always improve; to operate more efficiently and effectively. Performing a fundamental public service, Officers can have a tremendous positive impact on the quality of life. Continuing a proud tradition since 1910, members of the Newton Police Department are committed to serving everyone in our community to make the Town of Newton safer and to make its residents, merchants and its visitors feel safer. I invite you to browse the website to learn more about us and the many services we offer. Since our effectiveness is often proportionate to the amount of involvement, cooperation and assistance that we receive from those we serve, we’ll continue to engage the public and communicate our activities in an effort to enhance our public safety partnership. Please contact us if we can be of any assistance to you and to report any possible suspicious activity. Like the department, this website will continue to be improved; refined and updated, so please check back regularly. Your comments and suggestions are important to us and I encourage anyone with comments, questions or concerns to contact me directly at mrichards@newtonpolice.org. This law enforcement agency is dedicated to effectively delivering equitable and impartial enforcement of laws and ordinances to protect human life, property and to preserve the public peace. We will do so lawfully, ethically, within resources and without unnecessary risk. In accomplishing our responsibility of protection and enforcement, the members of this agency will protect Constitutional guarantees, promote crime victims’ rights and respect human dignity. We are committed to the enhancement of a police-community partnership, and will assist the members of our community with the identification and resolution of problems, in an effort to improve quality of life. Integrity, intelligence and initiative shall form the basis for our actions. With credibility, competence and a sense of community, we will give the highest quality performance of law enforcement services possible, while continuously striving for the highest professional standards. Public safety is a fundamental public service and an essential function of a democratic society. Police Officers take risks and suffer inconveniences to protect the lives and secure the safety of fellow citizens, and they endure such risks and tolerate such inconveniences on behalf of strangers. Making a difference in the quality of life is an opportunity that policing provides and few other professions can offer. Consequently, police work, though challenging, is one of the more rewarding, noble and selfless professions in society. Therefore, the highest ethical standards must be maintained in order to keep the public’s trust. This trust is a critical and precious commodity for an effective law enforcement agency to have, and yet, it is extremely fragile and easily lost. We shall safeguard this public trust through adherence to our code of ethics. 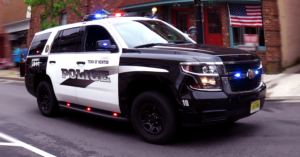 The Newton Police Department enjoys a reputation for professional excellence. We shall strive to meet all objectives and goals of the police mission with an unwavering commitment to personal and organizational integrity. This department is guided in its operation by laws, ordinances, written directives, Rules and Regulations and a Code of Ethics. In addition to legal and administrative requirements, police departments are significantly influenced by their principles and values. We shall uphold the spirit, as well as the statement, of our Public Oath of Office, having accountability to those we serve. 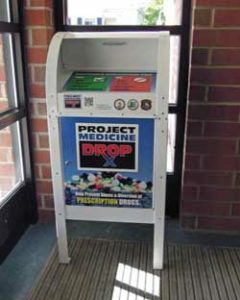 The Newton Police Department is proud to participate in Project Medicine Drop, joining with other law enforcement agencies in a statewide initiative from the NJ Division of Consumer Affairs. The box will allow members of the public to safely and securely dispose of unused and/or expired medications anonymously, sevens days a week, 24 hours a day, 365 days per year. The Newton Police Department invites community members to come together in an informal, neutral space to discuss community issues, build relationships, and drink coffee. Coffee with a Cop provides a unique opportunity for community members to ask questions and learn more about the department’s work in Newton. The majority of contacts law enforcement has with the public happen during emergencies or emotional situations. Those situations are not always the most effective times for relationship building with the community, and some community members may feel that officers can be unapproachable on the street. 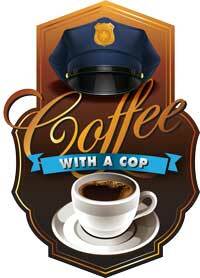 Coffee with a Cop breaks down barriers and allows for a relaxed, one-on-one interaction. The Newton Police Department equips each of its uniformed police officers with a body worn camera. 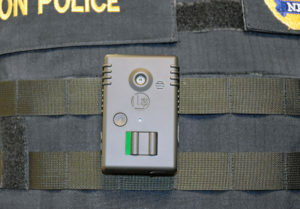 Body-worn cameras are a valuable asset intended to document evidence and witness/suspect statements, improve Officer training and performance, prevent and resolve citizen complaints and strengthen accountability and public trust. We use a service which allows the sender to be 100% anonymous. The technology routes messages through a server that encrypts cell phone numbers before they get to police. The technology also allows investigators to securely reply back to the cell phone without compromising the tipster’s identity. No one will know the identity of the text tipster. Use our iPhone app to submit anonymous tips. No short code or keywords required. Include images and video with your tips and have fully anonymous two-way dialogue and real-time chat. 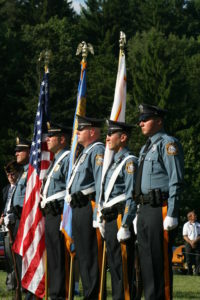 The mission of the Sussex County C.L.E.A.R. Program is to form a collaborative network of professionals in our community who will facilitate medical intervention, improved access to treatment and recovery support for those struggling with drug addiction who seek assistance, without fear of arrest or prosecution, in order to make a positive difference in the quality of life for individuals, families and our entire community.